This lyre is a sturdy device to help performers read their music while marching, but without worrying about dropping their music. This well built lyre is made to clamp on to the leadpipe for extra security. 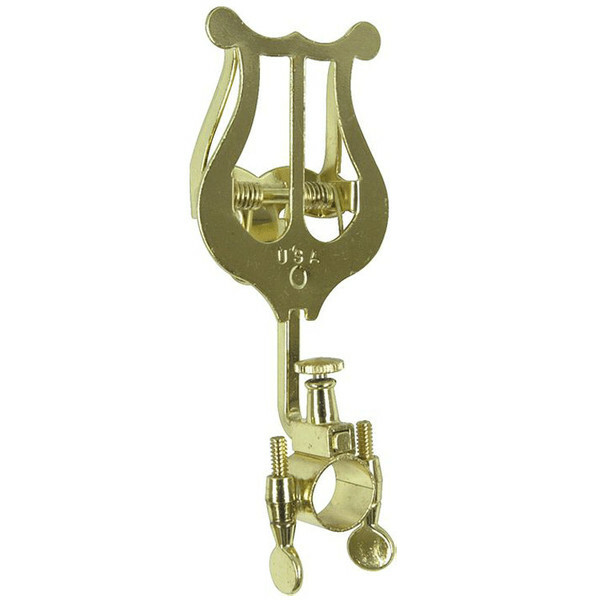 Unlike conventional lyres for cornets and trumpets, the Bach 1815 comes with a clamp on section, which can attach to the leadpipe of the instrument. Its simple two screw tightening system gives an even tension and doesn't put unnecessary stress on either the lyre or the instrument. This lyre is made to withstand any marching situation. The solid lyre head ensures that music is kept in its place throughout and is attached by a solid bar and screw mechanism. This helps to make sure that the music won't be dropped during marching sessions.